The other day, Sprint said its LTE service was coming to nine new markets. 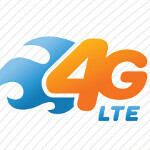 AT&T today countered by announcing that three new markets would be soon receiving its 4G LTE signal. Those three are Daytona Beach, Florida; Milwaukee, Wisconsin; and York, Pennsylvania. ; sometime in the next week the nation's second largest carrier is expected to turn on the switch for its 4G coverage in those areas. In the race to cover every inch of the U.S. with LTE, Verizon remains in front by a comfortable margin over AT&T in LTE footprint (don't be confused by AT&T's ads stating that they have more 4G coverage than Verizon. AT&T is including its 4G HSPA+ coverage), with Sprint a distant third. T-Mobile is expected to start building out its LTE signal next year. 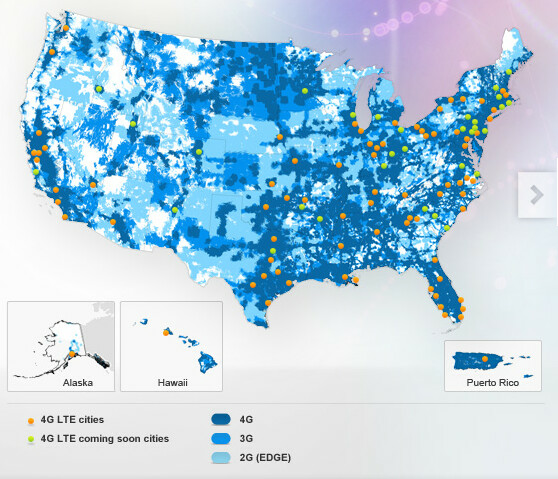 AT&T does expect to be mostly finished with its LTE construction by the end of 2013. How fast is LTE service? About ten times faster than 3G. A song takes 4 seconds to download and a photo sent to your favorite social network will upload in 6 seconds. Apps download instantly and video streams quickly and clearly. AT&T has built its LTE network with "core elements" distributed throughout the country. This reduces latency, which is the delay you get when waiting for a response on the internet. Latency is reduced on AT&T's LTE pipeline, because your request has less distance to travel. Woot. I get 50mbits down in tulsa. I get 30- 35 on atts LTE were I live which is good since there's no Verizon were I live.